Boca Raton, FL – Boca Raton Football Club continues its acquisitions ahead of their inaugural May 1st matchup versus South Florida FC. The clubs announced today the signing of 6″4 defender, Stefano Bontempo. A 2002 State Champion with Olympic Heights High School, Bontempo joins Boca Raton FC from PDL-side Floridians FC. Boca Raton FC continues its local-centric mentality with the addition of Bontempo, who like many players on the squad, have played under coach Castillo in the past. 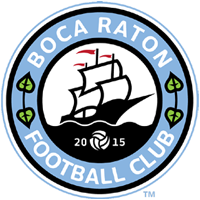 Boca Raton FC opens up their inaugural 2015 APSL season on May 1 at Boca Raton HS Stadium. For tickets, go to www.bocaratonfc.com/tickets or call 561-910-4336.